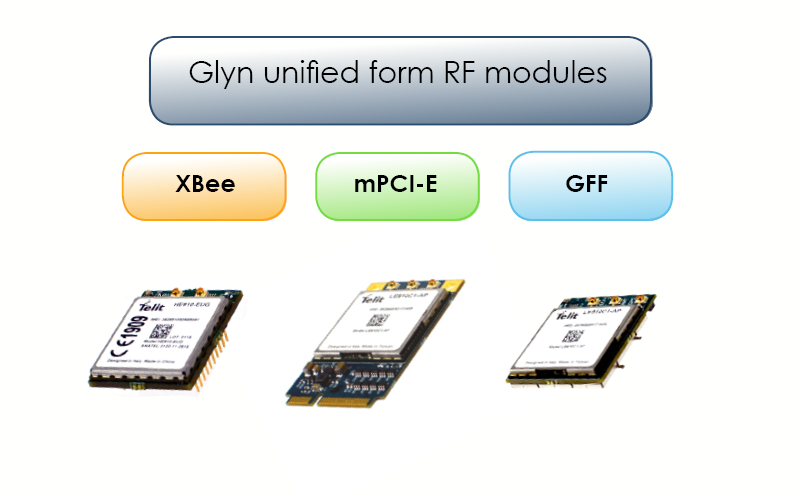 The Glyn 80pin GFF range is an established form factor for cellular communication which provides the most accessibility to all the pinouts of these highly complex modules where deeper integration is required. Our GFF form factor allows for a carrier board that is plug and play compatible on the 80-way connector – the largest pin-out available in the Glyn line. There are also both UART and USB communication options. The Glyn GFF is available to meet all the cellular (but no SIM holder option) technologies and has now expanded to Sigfox and LoRa. This allows you the flexibility to deploy your product when and where needed. The GFF910 uses the xE910 global form factor from Telit to provide a wide range of cellular options including, LTE Cat4, Cat1, M1, NB-IoT, 2G & 3G. The GFFSIG uses the Wisol module family, to provide Sigfox modules for each of the regional zones. The GFFLORA uses the Microchip module family to provide all band support in 2 module options. 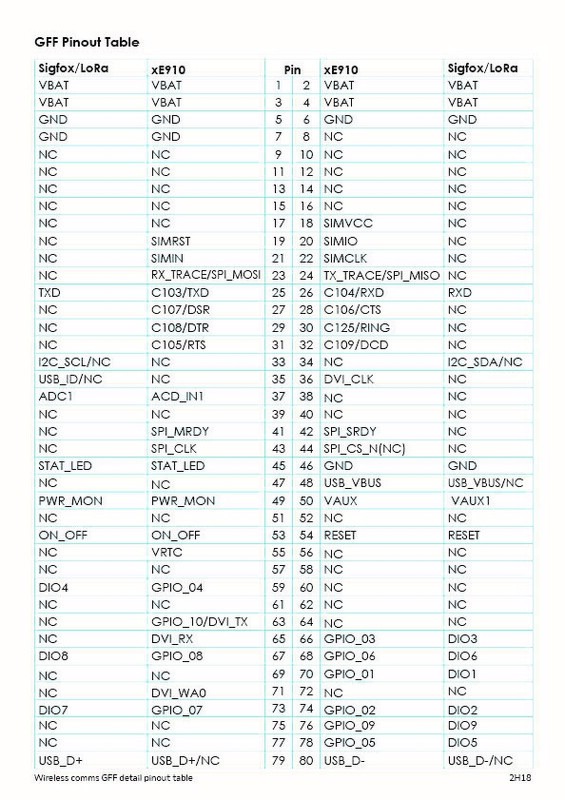 RN2483 covers 433 and 868 MHz, whilst the RN2903 covers 915 MHz, including LoRaWAN AS923 and AU915 specifications.